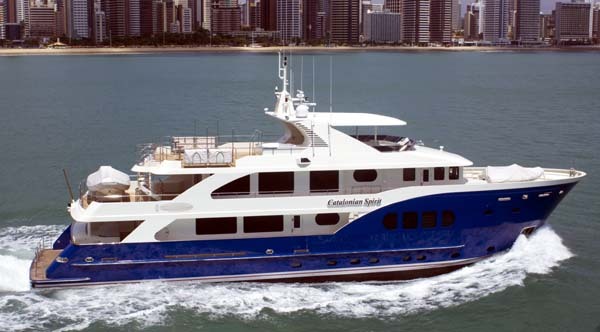 All Ocean Yachts was pleased to announce that the 111’ Inace Explorer Yacht, “Catalonian Spirit” was shown at the Collins Avenue Yacht and Brokerage Show at slip Number 433. "Catalonian Spirit" is not for sale but is a fine example of recent Inace Yachts workmanship and style. Please Contact our Office to schedule appointments.